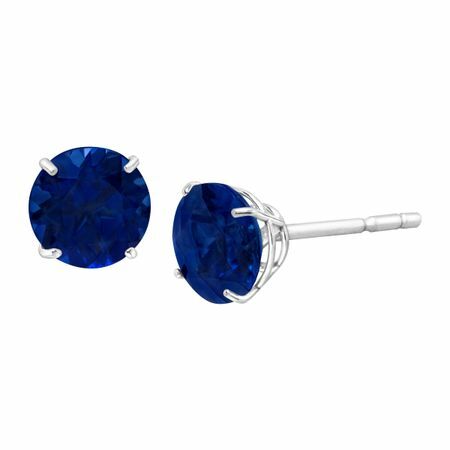 Add a bit of royalty to your ensemble with these royal blue studs. Created sapphire totaling 1 1/8 ct are crafted in a setting of lustrous 10K white gold. Pieces measure 3/16 in diameter.